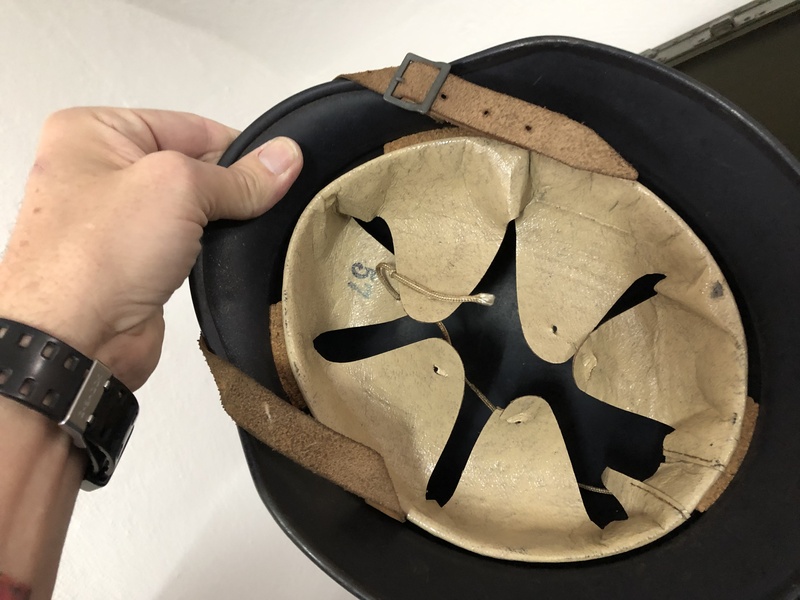 Discussion in 'Related Gear' started by Thomas Koehle, Jan 30, 2019. Flightengineer and B-Man2 like this. Nice job bringing it back to life. 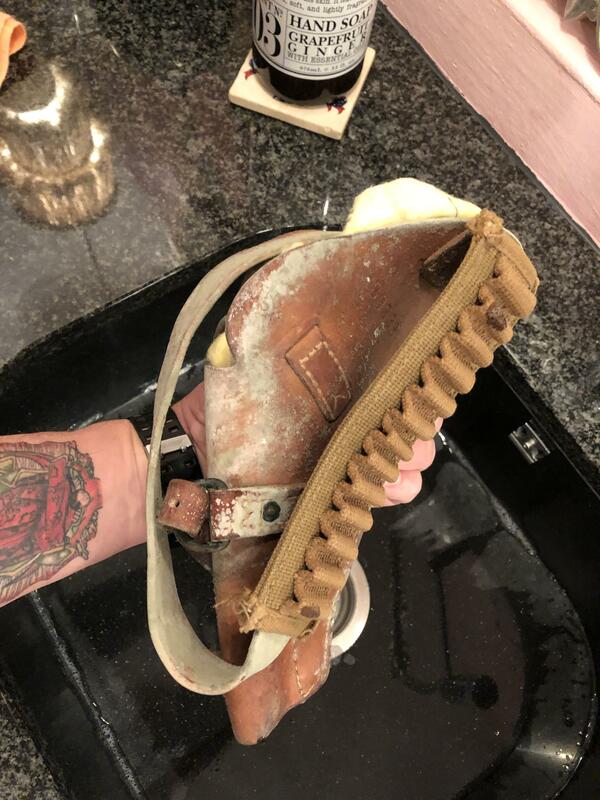 I would give it a very light coat of Pecards once it dries from the saddle soaping to keep the leather from drying out. What else did you find? That looks like the holster for a .38 cal. Victory revolver. Can you post a picture of the whole holster? Thanks! dinomartino1, falcon_ib and B-Man2 like this. It’s like Christmas morning all over again when you find stuff that you forgot you had. 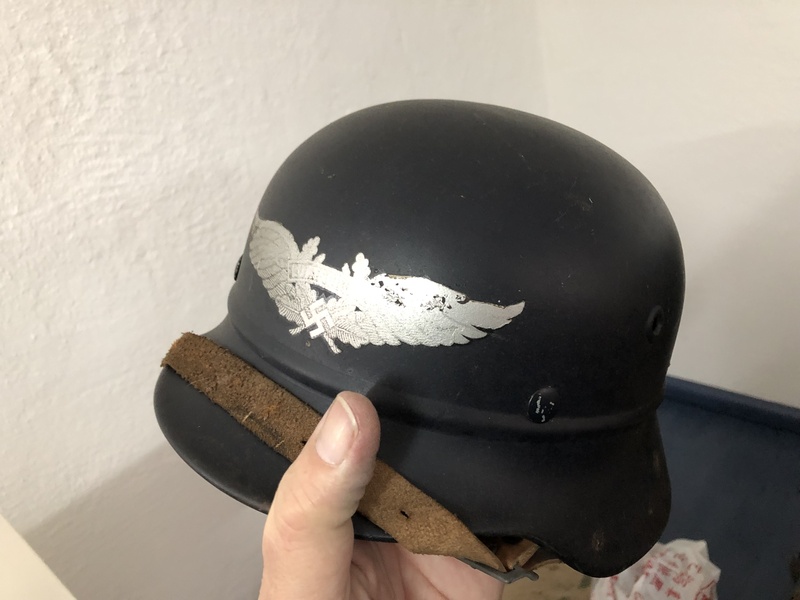 The condition of the Luftschutz helmet and decal looks pretty good for its age. dinomartino1 and B-Man2 like this. Not your traditional Luftschutz helmet with the extended tail as well. 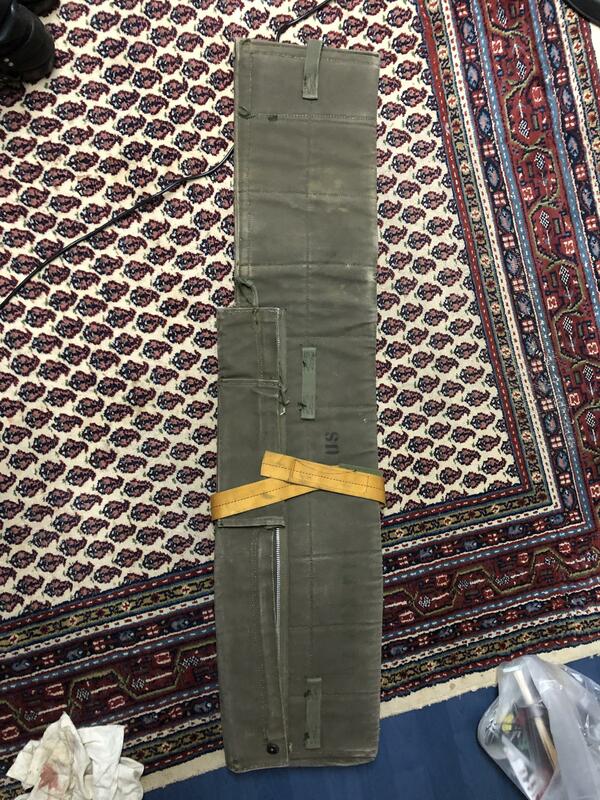 Your looks to be an M-1935 model with the standard rolled edge. 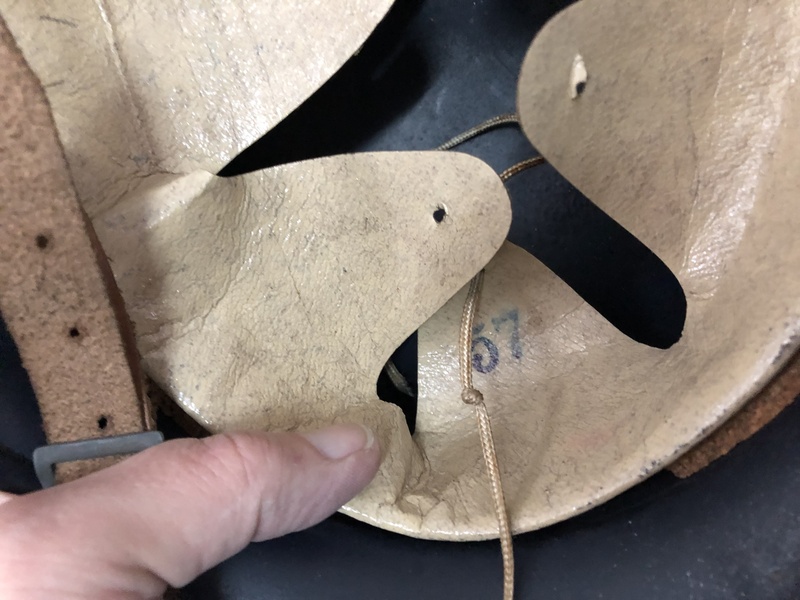 From my limited knowledge “ Ersatz “ was a compressed paper type of material that was used late in the war as a substitute for leather . 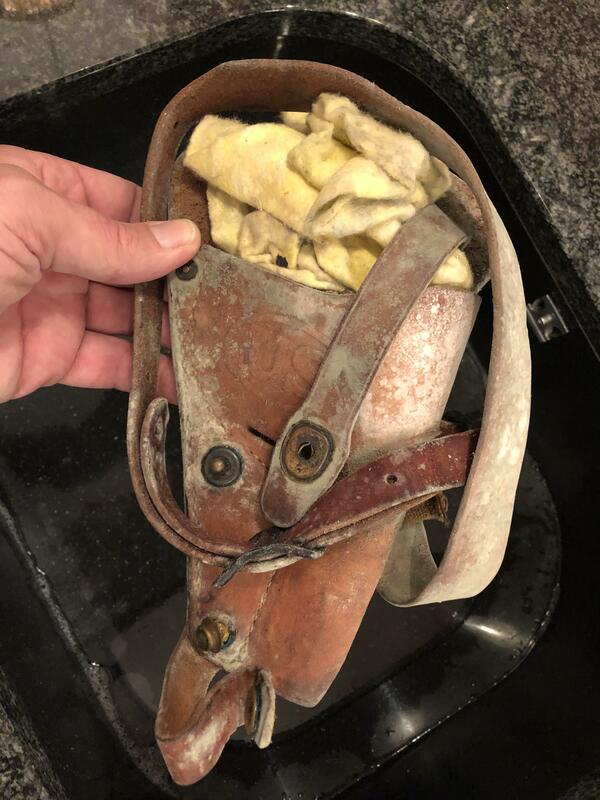 I had an Ersatz P.38 holster at one time. It was used for other items as well. Cool artifacts Thomas. 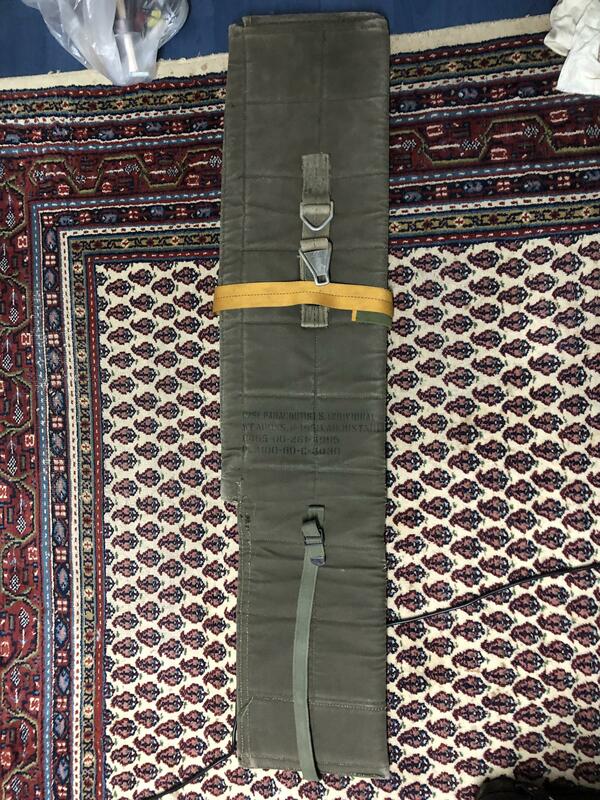 I have one of these and have been looking for the six round pouch that goes on the web belt, but those are hard to find. Thomas, you can open small museum. Thomas Koehle and Pilot like this. If you have one of the six round pouches, I will definitely be interested. I have one of these M3 shoulder holster which I wore inside of my A2 jacket years ago but others thought it was funny way to wear it and reminded me they should only be worn outside the jacket. 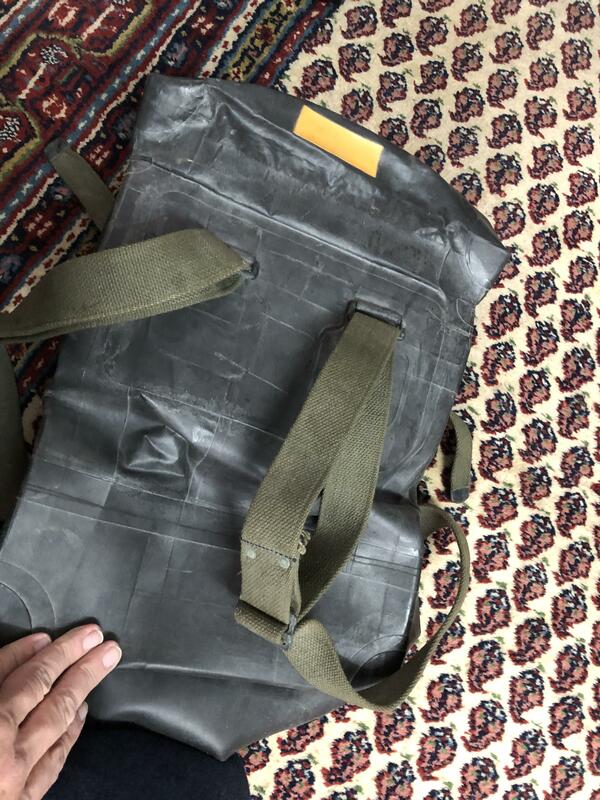 I know they were worn by pilots but always felt the only convenient way of wearing it is inside the jacket to avoid catching anything such as a mae vest, etc. Kennyz, Thomas Koehle, Steve27752 and 1 other person like this.